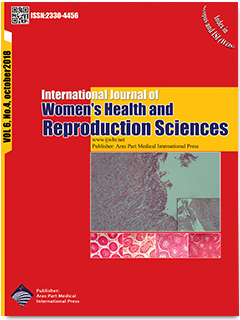 Objectives: In this experimental study, a testicular torsion/detorsion model was used in male rats to investigate the effect of onion juice on male fertility factors and rate of pregnancy by intrauterine insemination (IUI). Materials and Methods: A total of 56 Wistar rats (28 males vs. 28 females) were included in this study. Male rats were randomly divided into 4 groups including sham, testicular torsion/detorsion, testicular torsion/detorsion treated with onion juice (40 mg/kg, orally) 30 minutes before detorsion, and those rats that were only treated with onion juice. Treatment with onion juice was continued for 14 days after detorsion. At the end of the study, following anesthesia with ketamine/xylazine (5/1 mg/kg), levels of testosterone hormone as well as some oxidative stress markers in the blood serum of the male rats were analyzed. Furthermore, sperm parameters were assayed, and then fertility power of the male rats was investigated in the adult female rats using IUI method. Results: The results of the study showed that there was a significantly negative change in TD group in terms of histological parameters while they were decreased in treated groups. On the one hand, although serum level of malondialdehyde (MDA) significantly increased in TD group, other oxidative markers’ (i.e., glutathione peroxidase and superoxide dismutase) serum levels and also testosterone hormone significantly decreased, on the other as compared to the other groups. In addition, the rate of sperm parameters and pregnancy presence were lower in TD group than those of other groups. However, onion juice as a treatment factor could improve the sperm quality and fertility power. Conclusions: The obtained results revealed that using onion juice could enhance the quality of sperm and fertility power after testicular torsion/detorsion.